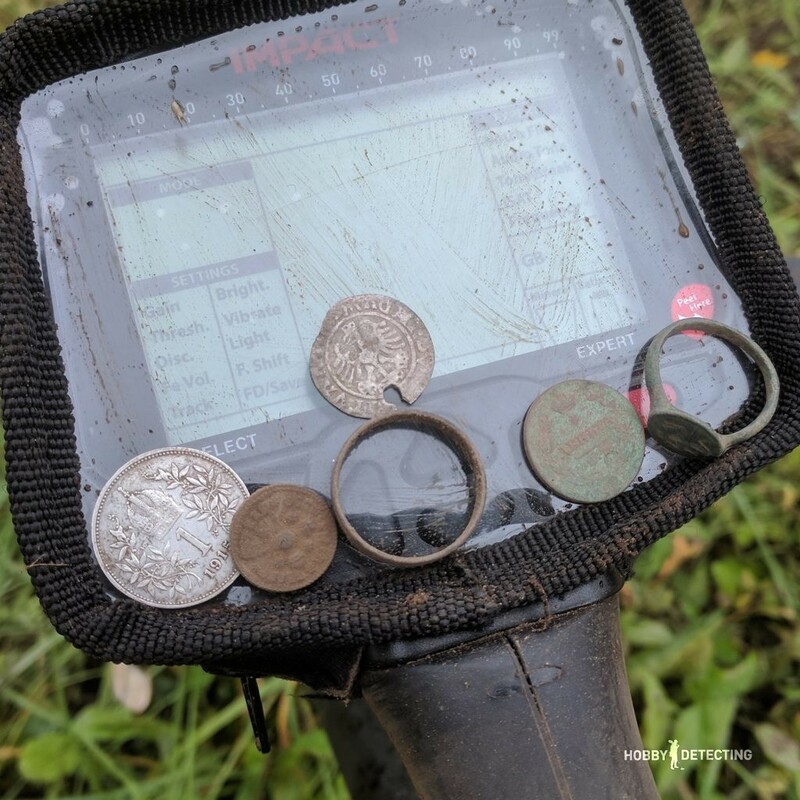 How often do you go detecting? I used to do it stable twice a week, digging a lot, but now I don’t go so often, unfortunately. 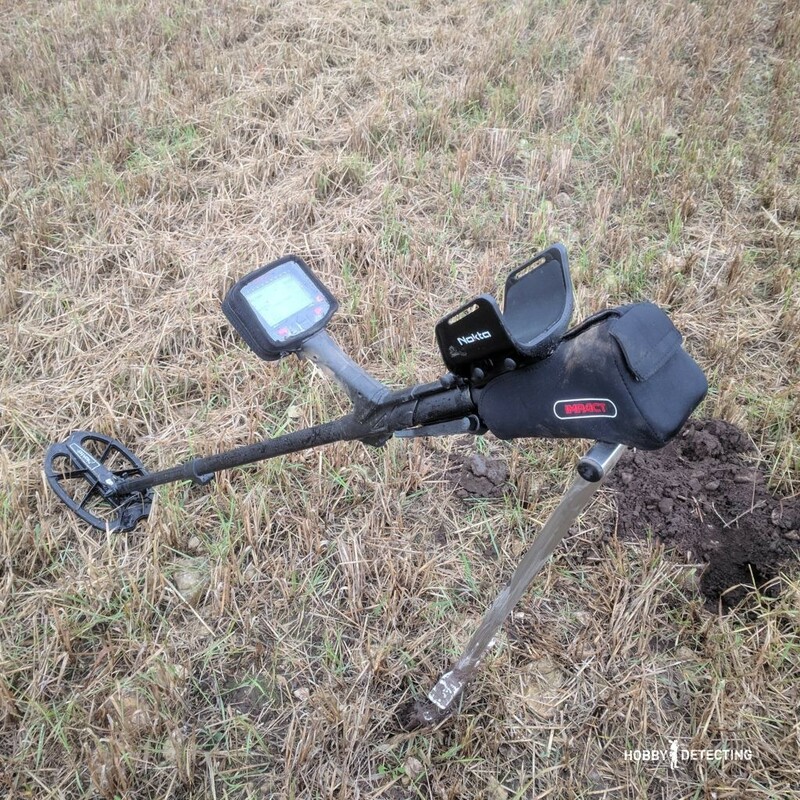 But now it was finally time to dig – the fields have been removed, there is still a lot of corn stubble in many fields, but in general, it does not affect the detecting too much. You can go and find it, the main thing is to take a coil that you can wave over the stubble without a special loss of depth or a smaller coil to wave between the stubble – then choose you. In general, you can walk with standard 10″-11″ coils, but it will be a little more complicated than with the given coils above. It seems like a usual field. Spacious and far to the horizon. What can you find on it? Metal and various rubbish. But we came for coins, and so we must find one point where all the coins are in the same patch, it usually so happens in the fields. If you simply pass the field across and do not find anything, then this is not an indication that there is no coin there. 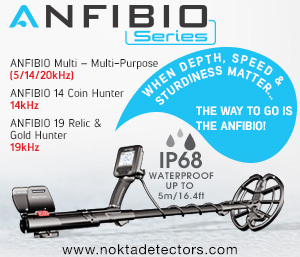 You have to go and look, and if you find such a spot with the concentration of coins and various finds, then you will raise a good harvest for your collection. So it happened with us. I and a friend detected on the field for three hours. We were looking for such a place. I analyzed the old map in advance and roughly imagined which direction to move and, miraculously, the finds began to appear with a frequency of several minutes. At first, an ordinary peasant wedding ring, made of copper. If this is some other ring and you’re a specialist on rings, then correct me. We also had finds such as buttons and rings, parts of clothing and equipment. This shows that people often spent time at this place and engaged in some kind of activity. But whether there was a road here or an old settlement – such conclusions can be made on several grounds, but I will tell about it in another post. An Austrian coin – 1 corona from 1915! 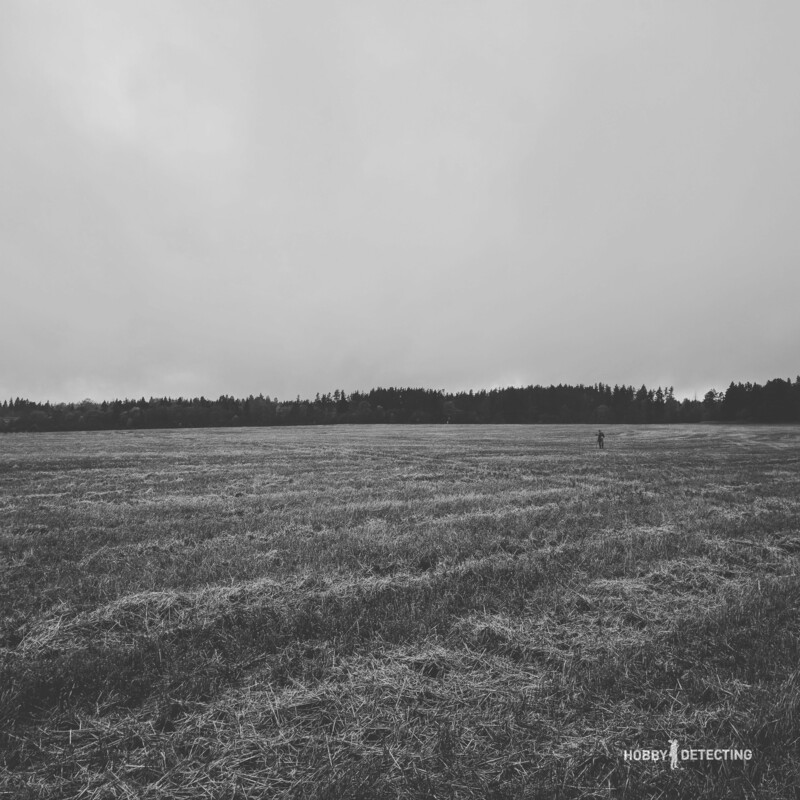 How did it end up in our fields? 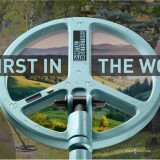 Up to the front with Austria-Hungary from the First World War from this place is more than 1500 km. Apparently, it was someone’s trophy that was lost. I went to dig further – in this place, there should be more coins! I walked around a bit and found a coin from 1813, from the times of the Emperor Alexander the First. I often find these coins of earlier periods, but coins from Alexander I is always an interesting and rare find in the fields. After the coin, almost on the surface, I found a ring. 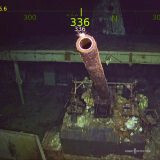 The ring was not visible through the eyes, but the detector showed a strong signal and it was clear that it was something big and lay on the surface. I took out the pin-pinter and found my interesting find in the heap – a ring with “The Fierce Beast” on it, from the 15th century. It’s crazy – this ring is more than 500 years old! The Fierce Beast pictured on the ring is mostly a lion, such rings were worn by soldiers as a symbol of courage, power, fearlessness and such a ring could be sealed on a letter, for example. 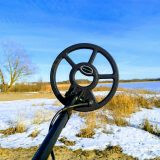 A good detecting spot will always bring good finds, even with the cheapest metal detector. But with the Nokta Impact, I at least understood what signals were of interest to me and which were not. 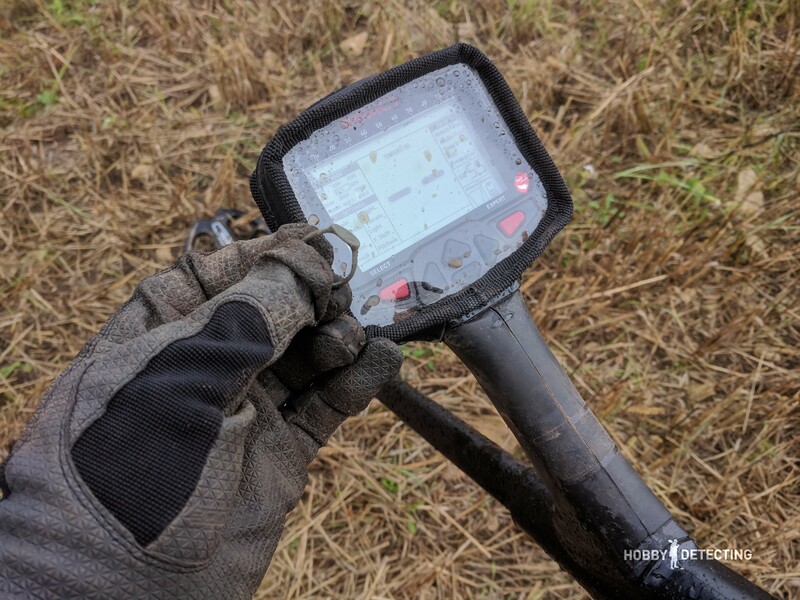 The detector reacted perfectly to any metal in the ground and made it clear, thanks to the presence of a good sound identification of the target and the presence of a VDI. It was the same with the ring – “The Fierce Beast” was found with a VDI of about 42-43, stable from all directions, the sound was clear, and I had only one question – what is this interesting thing that lies beneath the coil? The decision to dig and search was justified, naturally. A short break after the ring, I dug out another find. A little on the detector – the Nokta Impact is a new detector for 2017. I’ve been going with it for the third month and I’m honestly very pleased. It finds deep objects, it separates targets well, even in the ground – it has already been experienced in different fields and finds. 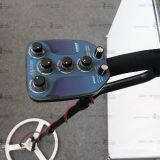 It has three frequencies, many settings, but the settings are not as twisted as in Deus XP, for example, even a beginner can master the device. Usually, I go in DI2 mode (two-tone discrimination), but since there was enough metal in this field, and a lot of stubble (sometimes quite strong by the waving of the coil) it sometimes gave small phantoms, then in ten minutes of search I switched to the DI3 mode – three-tone discrimination. The mode is good, it allows us to immediately understand that a good object has fallen under the coil. Even though the depth of the DI3 mode is not as great as that of the VLX, Gen, Deep, or even DI2 modes, but we will once again come back to this field when there are less stubble, but for “reconnaissance”, the DI3 mode is very suitable. 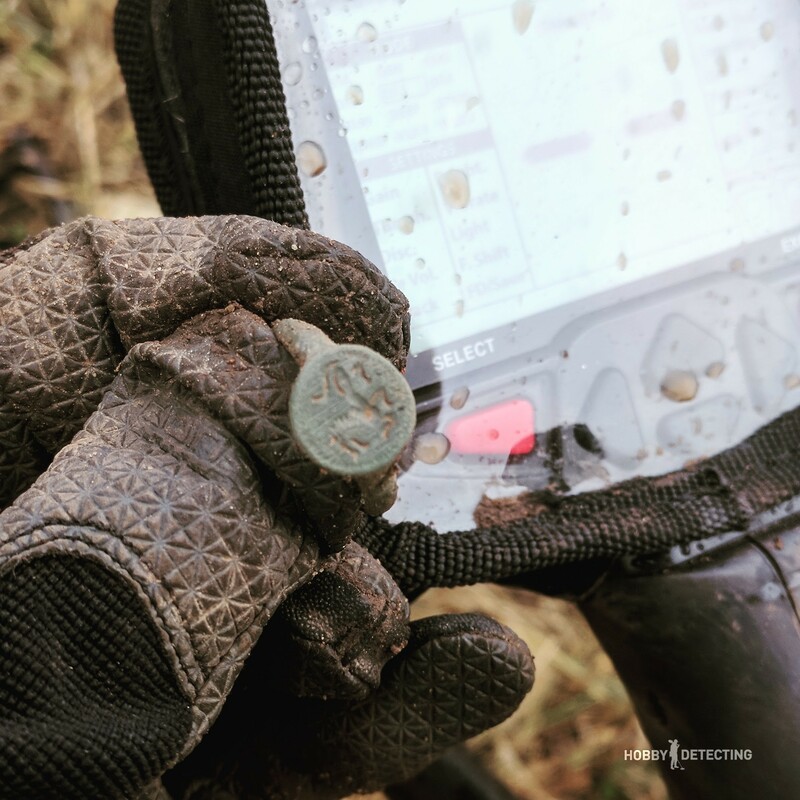 Once again about the depth – the coin from 1813 I raised somewhere from a depth of 25 cm, about the size of the blade of my shovel Black Ada Gladius. And then it was even more interesting – there was an unstable and incomprehensible signal. The VDI jumps, but it does not jump as much as metal, but slightly in a special way. I decided to dig it. As a result – this was a coin from the times of Alexander Jagiello, a Grand Duke of Lithuania, with a mintage year of about 1501. Yes, the coin is cheap but interesting and in a collection of medieval silver, it will go perfectly. But why did the VDI jump and raise doubts? 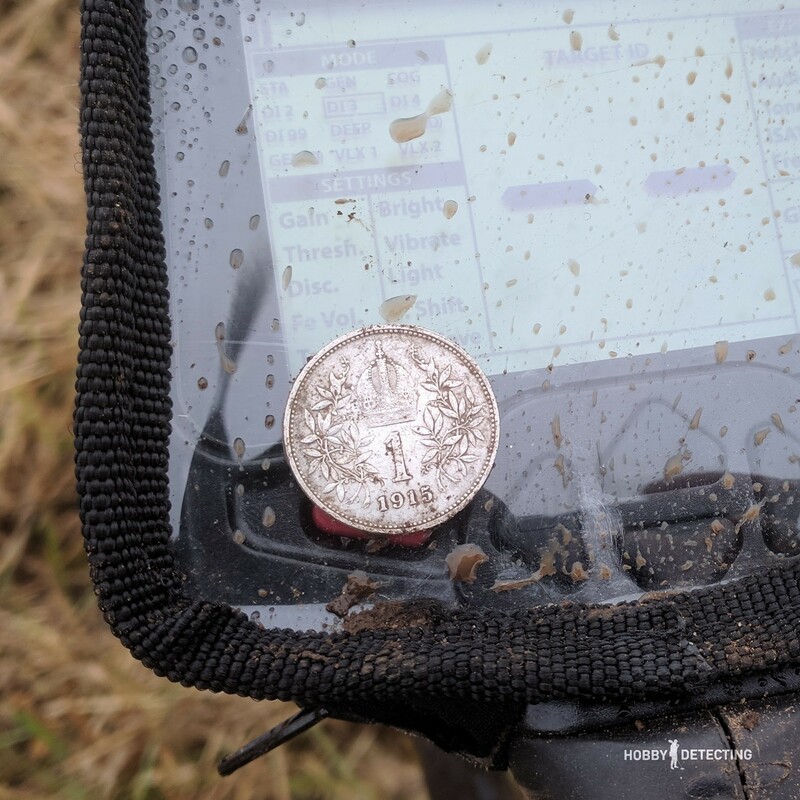 It’s simple – after I dug out a coin, I dug into the pit with the pin-pointer again and I found a small forged nail. 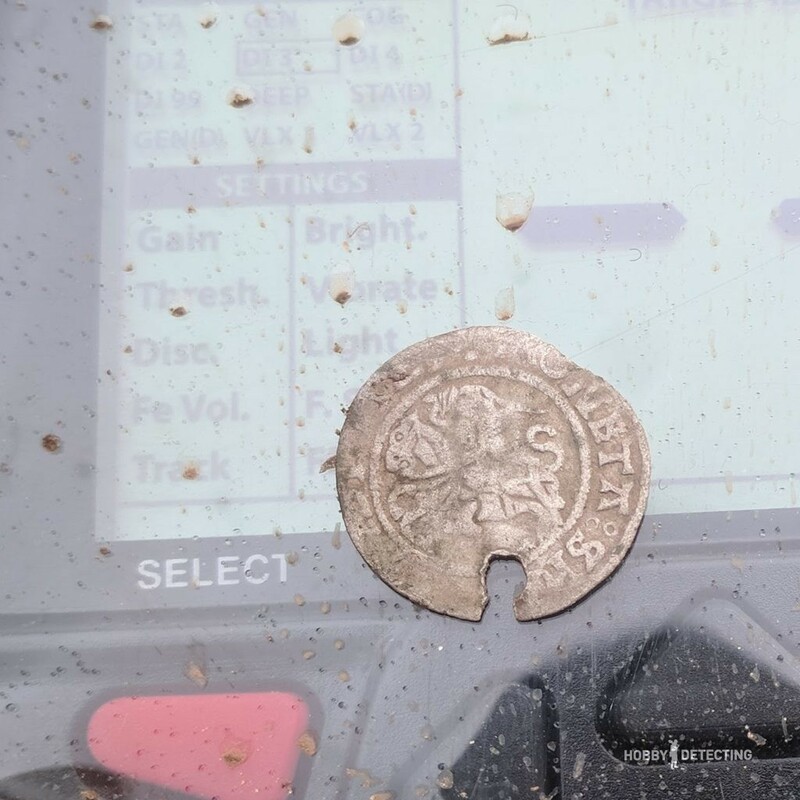 It turns out that the nail distorted the coin a little, but I dug it up anyway. Now it is difficult to say whether there was a nail on the coin or under it, but one thing is clear – under the coil, he got along with the coin. About this coin, I will also write a separate post, because I dug up an interesting story about this Duke and his life path. 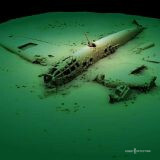 Read our blog Hobby Detecting! ? 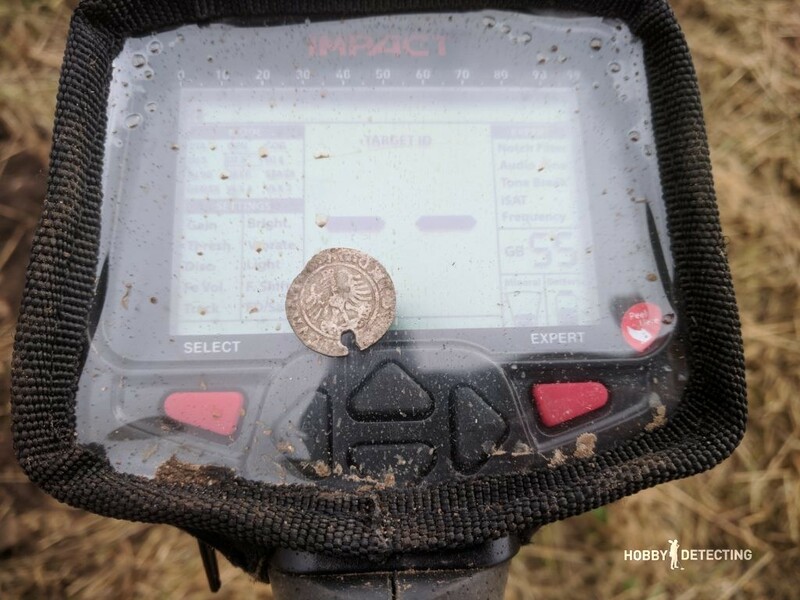 This was a small result of a three-hour detecting on a huge field, and even covered in stubble! I found coins and rings, I am pleased, quite good. Garbage was also dug up because keep in mind that in such places, rich in finds and history, it is necessary to dig all the signals, even despite the fact that Nokta Impact shows me perfectly if it is trash under the coil or not. 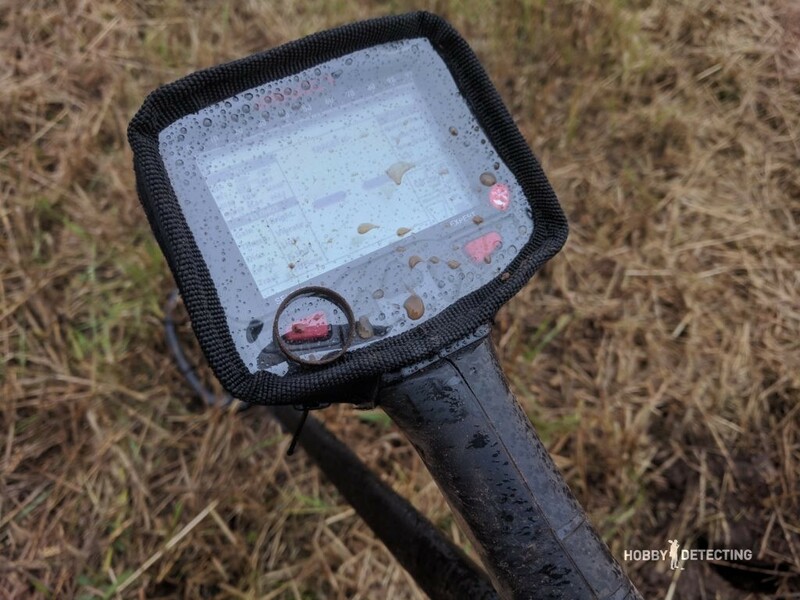 The covers for the metal detector helped – during detecting it was raining from time to time and without the rain covers it would be easy to break the detector. 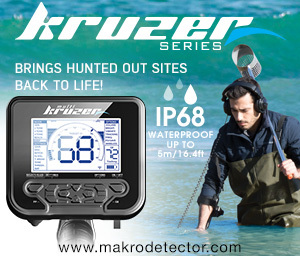 Still, take care of your search equipment, waterproof metal detectors are now very rare on the market, and you want to dig often and do not expect the device to return from repair.